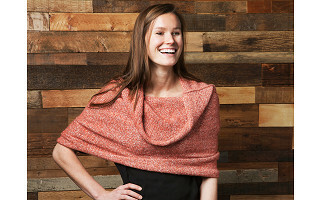 It’s a cape, it’s a hood, it’s a shawl…it’s the elegant, versatile Cosmo Capelet, handmade from fine yarns at an independent studio off the Massachusetts coast. With its luxe texture and versatility, the capelet is both an heirloom piece and a wardrobe workhorse: warm, layerable and knit to last. 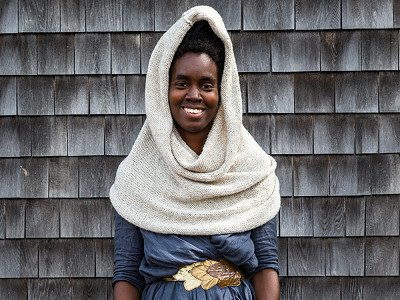 Award-winning textile designer Charlotte Hess founded Isobel & Cleo among the weathered seaside cottages of Nantucket. There, her team of diversely talented craftspeople create custom knitwear from yarns sourced for their feel, function and beauty. 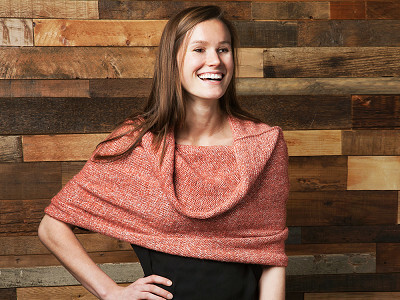 The Cosmo Capelet is a signature piece, able to adapt into a scarf, cape, cowl, hood, or shrug. And it's made from a smart, skin-friendly knit threaded throughout with comfortable, ultra-soft mako cotton. Whether you’re looking to treat yourself or give a friend something cozy, chic and unique, this standout is the perfect blend of designer attitude and artisanal originality. I'm Charlotte, the totally crazy Creative Director of Isobel & Cleo, a luxury American made knitwear company based on Nantucket Island. We knit everything either by hand or with hand powered knitting machines (we get quite the workout) using luxury yarns produced in the US and abroad. We are so excited, ecstatic(!) to be working with The Grommet and getting lots of people using American made products! Where did you get yarn the yarn for this particular piece? Hi @Jackson, thanks for you question! This yarn for this particular piece comes from an Italian yarn mill that spins novelty and luxury fibers. We then knit it up right in our studio on Nantucket Island. What an art! Love Isobel & Cleo- I've never touched anything softer! Fantastic to see their hand-made products here on The Grommet. Thanks @Wallis! So happy you love our products! We're so happy to be featured here on The Grommet. 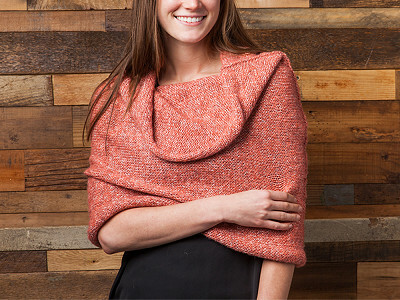 It’s a cape, it’s a hood, it’s a shawl…it’s the elegant, versatile Cosmo Capelet, handmade from fine yarns at an independent studio off the Massachusetts coast. With its luxe texture and versatility, the capelet is both an heirloom piece and a wardrobe workhorse: warm, layerable and knit to last. 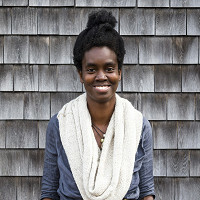 Award-winning textile designer Charlotte Hess founded Isobel & Cleo among the weathered seaside cottages of Nantucket. There, her team of diversely talented craftspeople create custom knitwear from yarns sourced for their feel, function and beauty. The Cosmo Capelet is a signature piece, able to adapt into a scarf, cape, cowl, hood, or shrug. And it's made from a smart, skin-friendly knit threaded throughout with comfortable, ultra-soft mako cotton.